I’ve been wanting to make a series where I talk about my life for a while. The reason for this is twofold: 1) It gives those curious about my life some interesting information, and 2) I have a particularly awful memory so writing this stuff down will help me remember it better later. Basically, it’s a journal of my life experiences and things that made me the person I am today. But what to write about first? Some topics that came to mind: My experiences with bullying, my life as a child of divorce, my thoughts on romance and such. But no, those are all too heavy for my first entry into my life story. No, instead, let’s talk about something simple. Since it’s September and everyone is already talking about Halloween, let’s talk about something I love. Let’s talk about horror and, specifically, how I came to love it. Laura and I watched the Goosebumps Movie! Here’s what we both thought of it. New series still coming (hopefully) before the end of the month! 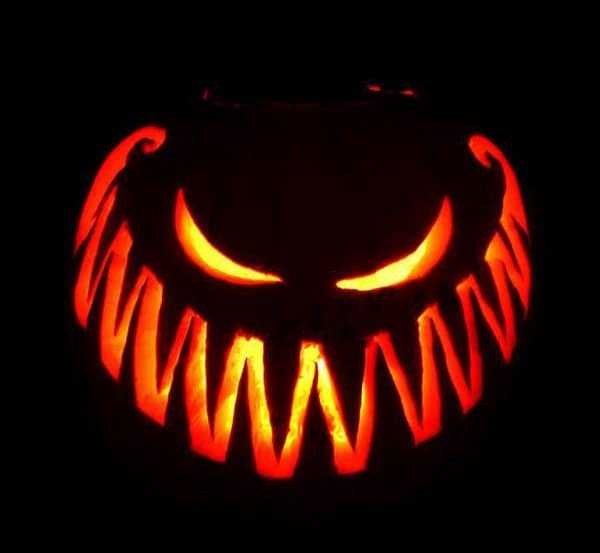 Halloween in June: Reader Beware Month RETURNS! Happy Halloween everyone! It’s a night of tricks, treats, ghosts, monsters, magic and mayhem! As such, I have saved a special book for today. 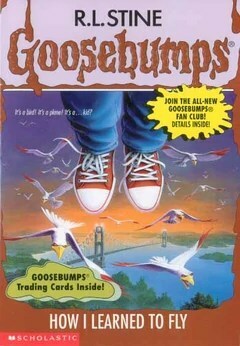 It’s the only Tales to Give You Goosebumps book I own. It’s one made up of 10 short stories (mostly) all centered around Halloween, so it’s highly appropriate for today. Since this is a book of short stories, things will be done a little differently today. I’m going to try to give each story a short, one paragraph review. The rest of this article will be long enough. Onward to the review! Pumpkin Juice: My favorite story of the bunch, this story gives the book a strong start. Two friends find a recipe in an old book to make them their “best on Halloween.” Or was it beast? It all takes place while the characters trick-or-treat. Good pacing, good characters, and a good sense of danger. Attack of the Tattoo: Another good one, showing the dangers of not checking your treats. The danger comes from a stick-on-tattoo that seems to be magic. It’s creepy and probably the second best story of the bunch. Suffers from scares being a bit one note and I don’t think snakes are very scary. The Wish: This one felt like a Twilight Zone episode. A kid gets a magic rock that allows him to make one wish. Shows what happens when you don’t word a wish carefully. Probably the creepiest story of the bunch. I felt the most bad for this kid out of all the others. An Old Story: Definitely the creepiest story of the bunch. In short, it seems to involve pedophilia for me. A group of old ladies try to make 12 year old boys old so they can marry them. It really weirded me out to see a story like this in a Goosebumps book. Very disturbing. Also, Halloween isn’t even mentioned in it. The Scarecrow: The worst story in the book. No scares, really. The supernatural element turns out to be a trick. It all smells of a moral gone wrong as it sort of implies that stealing is alright. Awesome Ants: Feels like a really cheesy sci-fi movies from the 50s. Ants originally used for a science project start growing and growing. The twist at the end is kind of funny. Though, it boggles my mind how the kid didn’t notice his town overrun by ants while going to school. Please Don’t Feed the Bears: Probably the silliest of all the stories. A family goes to Cuddle Bear Land for Halloween and finds out something sinister may be afoot. The ending felt rushed and the twist felt karmic. All in all, solid. The Goblin’s Glare: Kid makes a Halloween decoration that looks really scary then keeps having nightmares about it. Became dull after two non-scares. Ending was unpredictable, but the constant “it was all a dream”-ness of it made it boring. Cool idea, bad execution. Bats About Bats: Two girls befriend a new girl who likes bats while they hate bats. The girls seem a bit mean-spirited about their new friend’s interest. Interesting story with a predictable twist. If you have a fear of bats, this story may gross you out. Main character felt paper thin. Twist was set up alright. The Space Suit Snatcher: A kid obsessed with sending messages into space one night gets an answer. The third best story with a good double twist. It was also funny. This collection is actually not that bad. The stories are varied and creative with hardly any real stinkers among the bunch. It was a good group of Halloween treats. Speaking of, you all stay safe out there and have the happiest of Halloweens! Peer pressure is a terrible thing. There, I just gave you the moral for this book in six words. If this book would stop trying to take the moral high ground and stick to it’s ghostly premise, it would almost be creepy. Instead, we have a book that seems like a heavy handed after-school special that happens to involve ghosts. This is The Ghost Next Door. Hannah has a new neighbor who seems to have moved in without her noticing. He also seems to disappear right in front of her eyes. Hannah is convinced he is a ghost. Could this be why she’s never heard of him or his friends even though they go to the same school? And what is the strange shadow that seems to be following Hannah everywhere? The main story and main premise of the book are actually pretty good. Needless to say, this is a much better ghost story than Welcome to Dead House was. There’s a genuine creepiness to the mystery of who Danny is and Hannah’s growing fear of the mystery is a driving point of the story. However, the book at times seems far more interested in furthering a subplot rather than the main plot. The subplot, as I mentioned earlier, involves peer pressure. Danny is seen multiple times hanging out with two boys who force him to steal things and basically trash other people’s property. Danny seems reluctant to do any of this stuff, but he does because peer pressure. I understand the importance of teaching these kinda things but did this really need to be in a Goosebumps book? The kid never really learns that peer pressure is bad. The other boys never truly learn their lessons either. So, I find myself asking what the point of the subplot was. I regretted that it got the most development in the book. The twist of the story is really easy to figure out. I knew what the twist would be about two pages into the book. While it is a very easy thing to see coming, its predictability didn’t detract from its creativity. The story builds up the twist pretty well, too, almost to the point that you suspect your guess might be wrong. The main story was fairly good despite it not getting as much “screen time” as the subplot. The main ending of the book was also very satisfying and left me with a warm feeling. I’ll just say that I’m left with the same feeling I get at the ending of some Ghost Whisperer episodes and leave it at that. This book pissed me off. I had planned to start this post explaining how flight is another one of those powers people always seem to want. However, as I said, this book really pissed me off. So, no cutesy introduction, no clever pun for the ending. This book doesn’t deserve it. It just deserves my rage. This is How I Learned to Fly. Jack and Wilson are two idiots who are always competing. They race, they compare their drawings, they show off their toys. All this in an attempt to impress Mia, the “cutest girl in school.” And Jack always loses. One day after throwing a ridiculous temper tantrum, Jack stumbles across a book called Flying Lessons. Thus, Jack learns to fly and he thinks he’s finally beaten Wilson. Unfortunately, Wilson is a breaking and entering thief who always has to be the best and learns to fly as well. Do I sound angry in my description of this book? I certainly hope so, because I found this story ridiculous and despicable. I got so angry with this book that I couldn’t finish it. I got to around page 73 and I forced myself to skim through the rest. My issue isn’t really with the story itself. The story seems creative and very fantastical. No, my problem rests solely on the idiot, selfish, jerk of a kid that calls himself the main character, Jack. Despite the horrible main character, the story itself actually seemed like a good premise to me. Flying is fascinating, especially the Superman sort of flying with no wings required. This story was more focused on a fantasy element than a horror one, and it shows. In fact, it’s fantasy done pretty well. The few flying scenes I read were fantastic, describing the feeling of flying pretty well. It reminded me of those dreams where you can suddenly fly for no reason. Reading those scenes felt freeing in a way, which I believe was the point. Even with an interesting premise, this book still is one big pile of crap. The main character is terrible, the ending seems horribly mean-spirited (suffice to say the main character resorts to trickery, and what the hell kind of lesson is THAT for kids? ), and I got so annoyed with it that I had to stop reading. It boggles my mind why people would like this book. If you like good main characters, this is most definitely not the story for you. 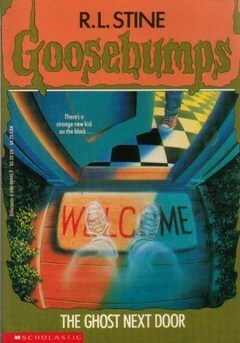 It may be the one Goosebumps book I end up throwing in the trash. Halloween is one of the only times of the year when people don’t have to be themselves for a while. Instead, you can buy a costume and pretend to be someone more dashing, more adventurous. Maybe even someone scarier. 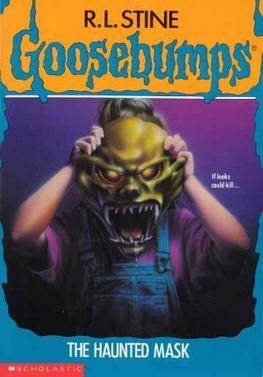 It’s with this in mind that I read today’s classic Goosebumps tale, the Haunted Mask. And like Monster Blood earlier this month, I’m ashamed of myself for having never read this before. The character of Carly Beth was well done. I sympathized with her jumpiness and her wish for revenge. She was characterized very well and developed naturally through the story. When she starts turning evil, it does feel wrong for her, which is the whole point. When she starts noticing that the mask is changing her, the fear is very well done. However, her friends are a bunch of jerks. They constantly prank her, scare her, and laugh at her. I kept wondering why she was friends with these people at all. It made me yearn for their comeuppance all the more, though. So, when they finally come across Carly Beth in her mask form, I was very satisfied. The mask itself felt like a character, though it never said anything for itself. It was very well characterized and described. It FELT like an actual monster. its presence was menacing and threatening. THIS is how you make a monster. It didn’t need to do anything on its own and yet it felt like a threat to the main character.